1972… it was a time of miracles and vinyl and little vinyl miracles like the song Punt, Bama, Punt, a time when double entendres would be completely out of place on incredible tribute albums to legendary coaches. 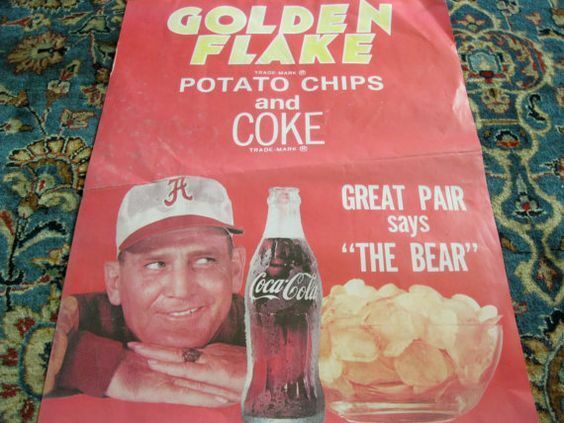 Which is why “Shug’s great pair” was actually a Punt, Bama parody of Bear Bryant’s insatiable appetite for Coke and Golden Flake. We want another taste of Shug’s great pair. Amen. Related: Angry Auburn fans sends ‘cow college’ clipping to Shug, calls Crimson Tide a name.